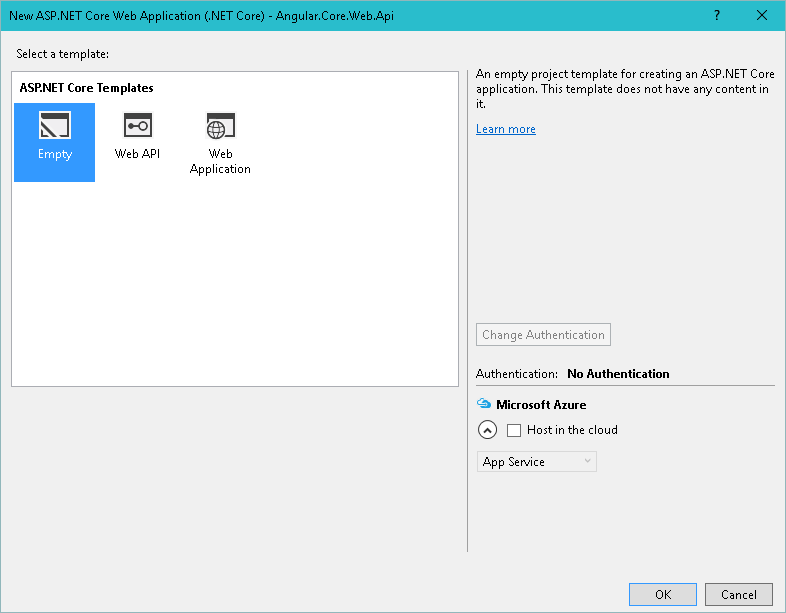 So, we are starting with the empty Asp.net Core template. For now, we are done here. After installing Bower, you can resolve client dependencies with Bower, but we want the client scripts to end up in a folder under the wwwroot folder. Let’s say the destination folder name is lib. But we have to tell Bower to do so. That’s why we will need a bower configuration file. In wwwroot add a index.html file. 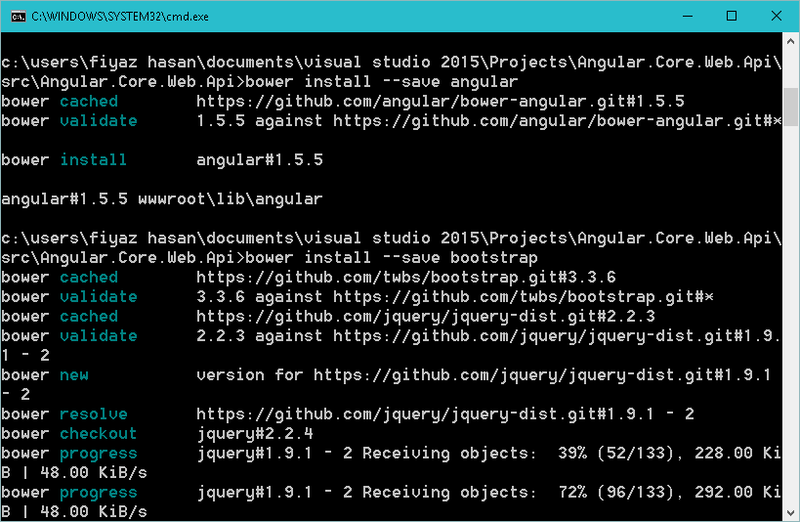 It will be our main layout file for the angular app. 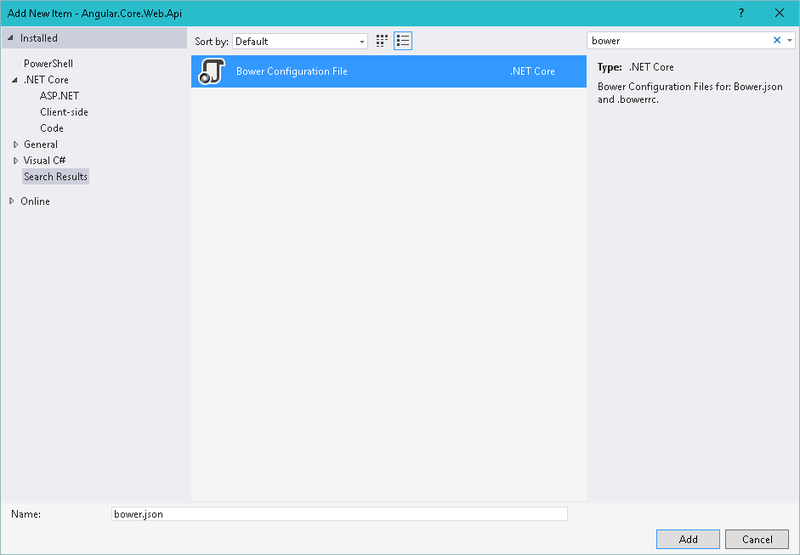 Remember that we have already added the required middleware and configured it in the Startup.cs file to serve static files. 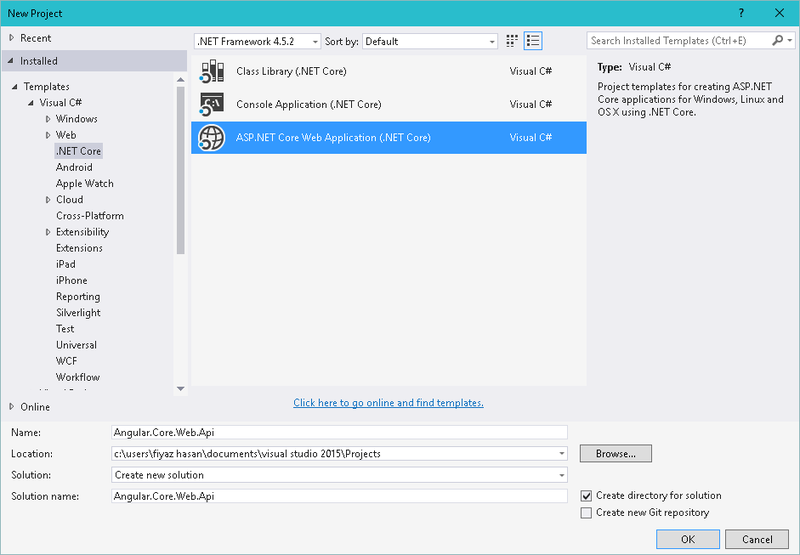 By default, ASP.NET Core will serve the index.html file. 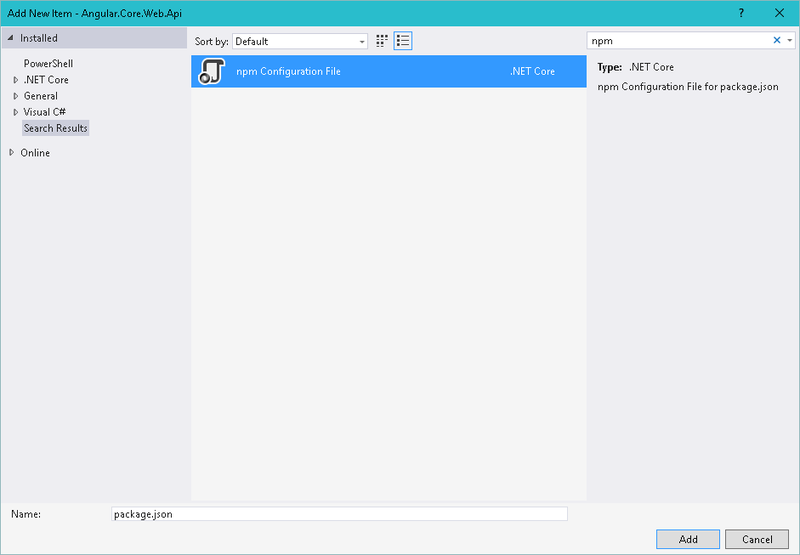 Also add a folder named app where our application scripts will reside. Now let’s add a API controller for exposing this two functionalities over HTTP. 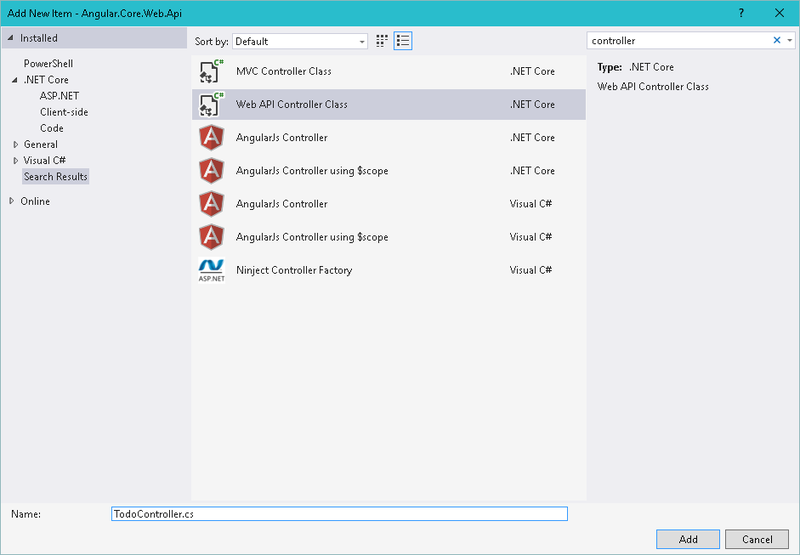 Add a folder named controller and add a Web API Controller named TodoController. Notice that the extension method will create a singleton object of TodoRepository and pass it as an instance to TodoRepository constructor. But it will all happen under the hood. We are done. 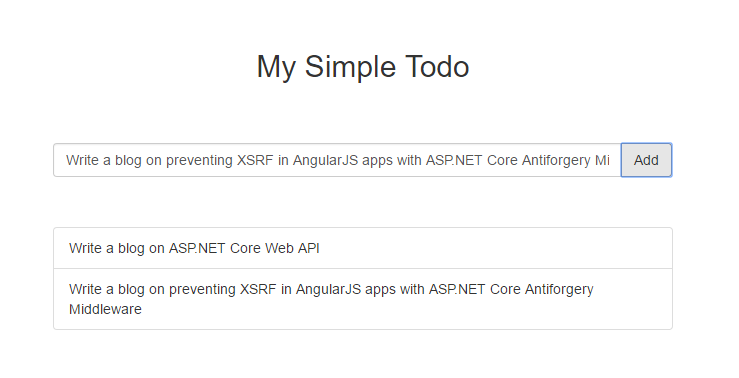 Build you app and give it a spin. Add additional functionalities like edit/delete etc. if you need to.